Deflation in the eurozone eased in March as the unemployment rate dipped slightly in February, figures show. The EU’s statistics office figures found consumer prices fell by 0.1% in March from a year earlier, as against a 0.3% fall last month. The downward pressure on prices has come from the drop in energy costs, but which now appear to be levelling out. The unemployment rate in the eurozone fell from 11.4% to 11.3% in February. The total decline of 329,000 in the number of eurozone jobless in the three months to February is the largest three-month fall since the three months to April 2007. The numbers suggest businesses are becoming more willing to step up hiring encouraged by very low oil prices, a markedly weaker euro and a major stimulus from the European Central Bank. Despite the headline rate rising to -0.1%, core annual inflation – which excludes energy and food prices – continued to fall, dropping to 0.6% from 0.7% in February. The UK’s economy grew at a faster pace than initially estimated last year, revised official figures show. The economy grew by 0.6% in the final three months of 2014, up from the previous estimate of 0.5%, the Office for National Statistics said. The unexpected increase meant growth for the year was 2.8%, higher than the earlier estimate of 2.6%. The revised rate marks the highest pace of annual growth since 2006, when the economy grew by 3%. An expansion in both production and services as well as a number of industries such as agriculture and fishing in the fourth quarter helped to drive the increase, the official data suggested. But the biggest contribution to the revised figure was a strong performance of exports, the ONS said. The revised figure was revealed alongside data showing that the UK’s current account deficit – the gap between the income paid to, and received from, the rest of the world – narrowed in the final quarter of last year. The deficit in the three months to December was £25.3bn, down from the record-high of £27.7bn recorded in the previous quarter. But for the year as a whole, the deficit widened to 5.5% of GDP, marking the largest annual deficit since records began in 1948. Separately, UK consumer confidence rose to its highest level in more than 12 years in March, a survey from researchers GfK showed. Andy Scott, from foreign currency specialists HiFX, said he expected household spending to help continue boosting growth in 2015. “Concerns over slowing house price increases and the General Election don’t seem to be fazing consumers who are seeing real term wage growth for the first time recently in the past few years, thanks to significantly lower energy costs. “This bodes well for the overall picture of the UK economy since individual spending affects so many industries – from coffee houses to DIY chains,” he added. Direct Submit Internet Marketing are pleased to announce they are working with Supplychain Warehouse, who are looking to promote their new website, very soon to go live, which will offer power tools & welding equipment, industrial grade adhesives and workwear from their UK located factory and warehouse. If you would like to know how Direct Submit could help your website work harder for your business then why not call us today on 0845 2722350 and let us help talk through the many cost effective and proven SEO & Internet Marketing techniques we are able to offer. As we progress into 2015 and the weather hopefully improves and summer is approaching, for something different, have you ever thought about hiring a mobile zip line for your outdoor event. Climb, Zip and Adventure with their fast and thrilling Mobile Zip Line. It makes the perfect attraction for any indoor or outdoor event – and setup time on site can be around 30 minutes. Direct Submit are working with the Corporate-Funfairs group who are an events and entertainment company offering a unique mobile zip line and already work with a number of festivals and blue chip companies. The Zip Line would be perfect for any event type including Fun Days, Festivals, Funfairs, Corporate, Promotional, Education Sectors, Parties & Charities / Groups. For further information please visit the mobile zipline hire website or call them on 0191 427 5188. Brightly-painted walls and brightly-coloured furniture are the obvious combinations to look for in the ultra-modern home décor, but one should not forget the role that windows play in the overall scheme of things. Surprisingly, the answer for many homeowners is plantation shutters, which add texture, depth and a classic, elegant look to any home décor, traditional or modern. Are you looking for a window covering that will provide your home with a real look of quality? Then why not invest in plantation shutters? Plantation shutters are wooden shutters that provide a classy alternative covering for windows and doors. Originally used to increase the privacy of a home or to improve security, plantation shutters are now in high demand amongst those who are looking to add a real sense of style to their home. They’re very much a design statement that more and more homeowners are choosing to make. With the wide range of shutters on the market, you might be concerned that plantation shutters are going out of style and that they aren’t as popular as they once were. In actual fact, they are more sought after than they’ve ever been and interior design experts throughout the UK tend to favour them over other many window coverings and treatments. Unlike draperies, wooden shutters never go out of style or fade and you can rest-assured that they’re remain looking as stylish and chic years after they day you first installed them. When you’re looking to create a look of quality for your home that’ll leave your neighbours green with envy, look no further than plantation shutters. You can rest-assured that they’ll give your home plenty of curb appeal due to the fact that they look just as beautiful from outside as they do from the inside. Plantation shutters are now a highly desired window dressing. This makes them a sound investment for your home in terms of adding value and making it more appealing to prospective buyers. Unlike draperies, which won’t increase the value of your home, window shutters are considered to be a permanent fixture in your home and this means that they’re usually included in its valuation. As a result, if you’re planning to sell your property in the future and are hoping to get a good price for it, it makes sense to wooden shutters in order to improve its value whilst setting it apart from other properties in your area. If you’re looking for tier on tier shutters, full height shutters or café style shutters, you’ll need to find an established shutter company with an excellent reputation for its quality products and service. There are many shutter companies out there, however, it’s essential that you take your time to find a competent and trustworthy supplier and installer. The Beautiful Shutter Company brings a wealth of experience to the window dressing industry and is committed to providing homeowners with the perfect set of high-quality plantation shutters for any home. To learn more about our wide selection of shutters or to book an appointment, call us today on 01642 688049 or visit the Beautiful Shutter Company website. The collapse of delivery firm City Link has exposed the flaws in the insolvency system, two groups of MPs have said. A joint report from two parliamentary committees concludes that the current system is too heavily skewed in favour of investors over workers. It also said City Link took a “deliberate decision” not to inform employees of its likely failure. 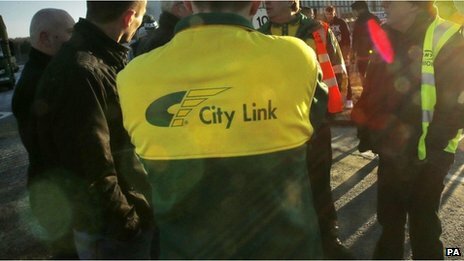 About 2,700 people lost their jobs when City Link collapsed over Christmas, and 1,000 contractors also lost out. “The current insolvency system fails to offer sufficient protection to workers, suppliers and contractors alike,” said Adrian Bailey, chairman of the Business Committee. “Investors and directors are cushioned from the impact of failure while workers, suppliers, and contractors pay the highest price. The balance needs to be shifted so that our insolvency system is no longer skewed in favour of investors and directors,” he added. The report says that under the current rules it is in the financial interest of a company to break the law and ignore the statutory redundancy consultation process, if the fine for doing so is less than the cost of continuing to trade. The fine will end up being paid by the taxpayer, it pointed out. MPs believe that insolvency law has failed to keep pace with modern employment practices. As well as direct employees, City Link’s workforce included many who were self-employed or contractors. They were often small businesses with staff of their own. When City Link collapsed, many of them folded too. But while the firm’s employees will receive much of what they were owed, these contractors may end up getting back as little as 2p for every pound. So MPs say the order in which creditors are paid out in an insolvency needs to change. That would amount to a major shake up in insolvency rules. Without protection for lenders – companies might find it much harder to get investment. The MPs recommend that the order in which money is paid out in insolvencies should be changed to give precedence to all workers, whether directly employed or not. “While the financial calculation is simple, ignoring the consultation period has a high human cost that appears not to have featured in the decision making process at City Link,” the report said. Irfan Khan was a subcontractor for City Link and lost at least £80,000 from the firm’s collapse. He told Radio 5 live’s Wake Up to Money that he had no idea that City Link was in difficulty and that he had invested in five new vehicles before Christmas. “We’ve lost everything,” he said. “It’s killed our business.” He said he had been told that he would get back between zero and 2p per pound from what he is owed. Mr Bailey said: “We are dismayed that, although it was clear for some time that there were serious questions over the ability to continue trading after December 2014, small businesses and self-employed drivers working for City Link were encouraged to take on additional costs, despite the company being aware that there was a strong possibility that they would not receive payment for a significant part of their work in December. “There is no doubt that contractors were deliberately deceived as to the true state of the business. City Link and [owner] Better Capital are morally, if not legally, responsible for the difficulties that many of these individuals and small business now find themselves in,” he added. Better Capital says the accusation that it deliberately deceived contractors is “ill-founded”. It says that it did not stand to gain financially from trading even after it became clear, on 22 December, that the firm would have to go into administration, which it eventually did on 24 December. “In our view, the company took a deliberate and brave decision to trade for the extra two days, which it could only do if it did not announce its likely administration,” Better Capital said in a statement. The company said that if it had stopped trading on 22 December, many parcels would not have been delivered, resulting in unnecessary financial loss for customers and “very substantial disappointment for families at Christmas”. It could also have resulted in massive financial claims against City Link, possibly more than £10m, the statement added. Car classified ad website Auto Trader has priced its shares at 235p as it floats on the London Stock Exchange, valuing the business at £2.35bn. Conditional share dealings began at 08.00 on Thursday, and unconditional dealing will start on 24 March. The company announced its intention to float on 26 February. It claims to be the UK’s largest car sales website. The company was founded in 1977 and started as a car classified ad magazine. From 1996 it began to go online, and the final publication of the print magazine was in June 2013. Ed Balls the Labour shadow chancellor has said there was nothing in a pretty empty budget which Labour would reverse if it won the election. The shadow chancellor told the BBC he welcomed the plan to axe tax on the first £1,000 of interest from savings and to give help for first time buyers. In his Budget Mr Osborne said Britain was a “comeback country” and warned against a return to Labour “chaos”. Lib Dem Mr Alexander said they would borrow less than Labour and cut less than the Conservatives. The Lib Dems will announce new measures to tackle tax evasion later as they set out their own budgetary plans. The three men’s tour of media outlets came the morning after Mr Osborne used the Budget to draw the battle lines for the general election in seven weeks’ time. The tax and spending plans of the Conservatives, Labour and Lib Dems are all likely to come under scrutiny as the influential Institute for Fiscal Studies prepares to give its post-Budget analysis. On Wednesday, in his final set-piece pitch to voters before May’s election, Mr Osborne announced that if the Conservatives won power, the first £1,000 of savings interest would be tax free – meaning 95% of savers would pay no tax. He also said savings put aside for a deposit by first-time buyers would be topped up by the government – to the tune of £50 for every £200 saved – while the personal tax allowance would rise from £10,600 to £11,000 by 2016-7. Mr Osborne hailed slightly better-than-expected growth figures, which suggest the economy will expand by 2.5% this year, and said the government had met its 2010 target to end this Parliament with Britain’s national debt falling as a share of GDP. He said he would use a boost in the public finances caused by lower inflation and welfare payments to pay off some of the national debt and end the squeeze on public spending a year earlier than planned. In 2019/20 spending will grow in line with the growth of the economy – bringing state spending as a share of national income to the same level as in 2000, he said. But despite Mr Osborne relaxing his plans, shadow chancellor Ed Balls said the Treasury’s own figures showed spending at the “lowest level since 1938” in 2018/19. The independent Office for Budget Responsibility said Mr Osborne’s plans implied “a much sharper squeeze on real spending in 2016-17 and 2017-18 than anything seen over the past five years, followed by the biggest increase in real spending for a decade in 2019-20”, a pattern it described as a “rollercoaster profile”. The BBC’s economics editor Robert Peston said the Conservatives believed this critique was unfair as more than a third of the cuts earmarked for the first two years would come from welfare rather than departmental spending – though these had not been spelt out. Mr Osborne’s sixth Budget statement, which came against a backdrop of a strengthening economic recovery, a fresh fall in unemployment and inflation at historic lows, was also criticised by UKIP, the Green Party, the SNP and Plaid Cymru. British banking giant Barclays paid £16.5m in shares to its top 11 executives, which is half the amount it paid out last year. Its executives received £32m in a share pay out in 2014 – sparking criticism over excessive pay when the investment bank’s profits were down. The shares were payment for role-based allowances and bonus schemes. The bank is in the middle of a probe over alleged manipulation of foreign exchange rates. Barclays has said that it has put aside £1.25bn. Tom King, head of the investment bank, was awarded the highest amount in shares, worth £4.7m. The bank’s chief executive, Antony Jenkins, who took his first bonus in three years this year, received shares worth £4.3m. Another nine executives were awarded almost 3 million shares priced at £2.535 on the day they were paid out, according to a regulatory filing. Earlier this month, a leading pension body had called for the chair of Barclays’ pay review committee to resign, accusing the bank of “misleading shareholders” over its pay policy. The number of people out of work in UK fell by 102,000 to 1.86 million in the three months to January, official figures show. The unemployment rate remains at 5.7% but the number of people in work rose to an all time high in the quarter, the Office of National Statistics (ONS) said.